Internal Medicine New Windsor - Internal Medicine services are offered by Hudson Valley Health Group serving New Windsor and the surrounding area. Internal Medicine Consultation New Windsor - To schedule an Internal Medicine consultation with Hudson Valley Health Group please call us at 845-565-9800. Our practice serves New Windsor and the surrounding area. Map and directions to Hudson Valley Health Group serving New Windsor and the surrounding area. Wellness Care New Windsor - Wellness Care and other services which are offered by Hudson Valley Health Group serving New Windsor and the surrounding area. Internal Medicine Physicians New Windsor - Internal Medicine Physicians Dr. Javier Alberto Ruiz, Dr. Andrew M. Shapiro, Dr. Leila Boukhris, Dr. Koshnaf Antar, and Dr. Dima Teitelman serving New Windsor and the surrounding area. Cancer Care Treatment New Windsor - Cancer Care, Oncology and other services which are offered by Hudson Valley Health Group serving New Windsor and the surrounding area. 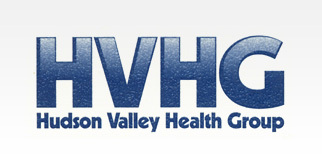 Hematology New Windsor - Hematology and other services which are offered by Hudson Valley Health Group serving New Windsor and the surrounding area. Preventive Care New Windsor - Preventive Care and other services which are offered by Hudson Valley Health Group serving New Windsor and the surrounding area. Rheumatology New Windsor - Rheumatology and other services which are offered by Hudson Valley Health Group serving New Windsor and the surrounding area. Cardiology New Windsor - Cardiology and other services which are offered by Hudson Valley Health Group serving New Windsor and the surrounding area. Podiatry New Windsor - Podiatry and other services which are offered by Hudson Valley Health Group serving New Windsor and the surrounding area. Ultrasounds New Windsor - Ultrasounds, Pulmonary Function Test, Electromyography (EMG) and other procedures which are offered by Hudson Valley Health Group serving New Windsor and the surrounding area. Physical Therapy New Windsor - Physical Therapy and other services which are offered by Hudson Valley Health Group serving New Windsor and the surrounding area. Dietitian New Windsor - Dietitian Services and other services which are offered by Hudson Valley Health Group serving New Windsor and the surrounding area.